The 3 Harbours Arts Festival wouldn’t exist without the help of a wonderful team of volunteers. This year we are on the lookout for enthusiastic and dedicated volunteers to help make the Festival more successful than ever! We are planning an ambitious programme of events for 2019, showcasing music, talks, exhibitions, workshops and much more. The 3 Harbours Arts Festival provides a unique experience for volunteers with hands on skills learning, is a great chance to support the arts, enjoy fantastic performances, be immersed in the local arts and cultural scene, whilst having a lot of fun and meeting new people. 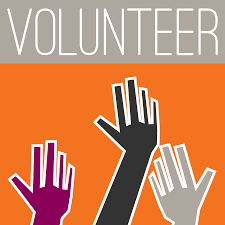 If you would like to join our team of Festival 2019 volunteers please email Sam at coord3haf@gmail.com or telephone 07845 440518. Join our mailing list to keep up to date with all our news & opportunities.